Intervertebral discs which have had their cells and DNA removed, are potential replacements for degenerate or “slipped” discs. The “decellularised” tissue acts as a scaffold which, when implanted into a patient, should not invoke negative immune responses. The implanted tissue must have biomechanical properties comparable to native tissue, which are largely provided by collagen fibres. 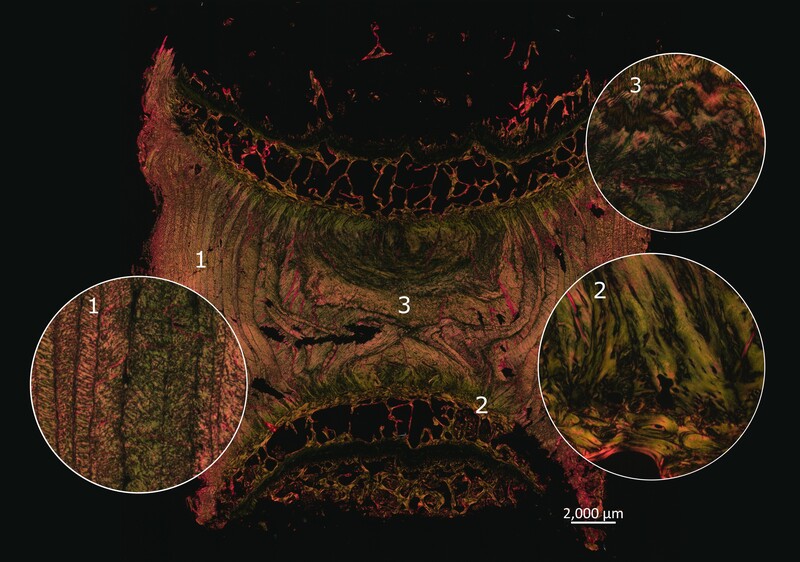 By comparing Sirius red stained histological images of treated and untreated discs, it is possible to obtain an indication of how the process may affect the collagen fibre orientation and therefore the mechanical properties of the disc.